The Leupold 10-42mm Tactical Binoculars provide a durable, lightweight, multi-coated optic with a built-in reticle to more accurately range objects that aren't purely horizontal or vertical. Waterproof, fogproof, shockproof, and mission-critical. 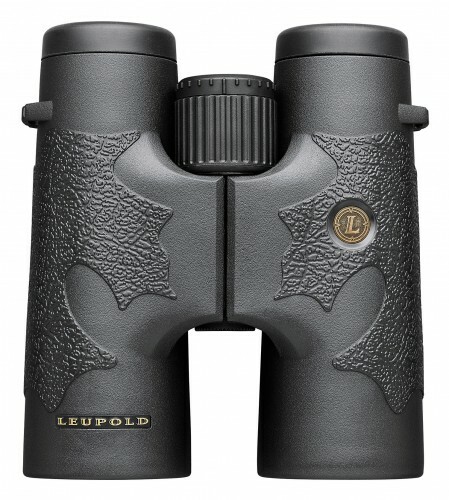 Conditions always change, but the mission remains the same; be on top of your game with the Leupold 10x42 mm Binoculars. This synergy built Binocular from Leupold brings together every aspect of design, sourcing, engineering, production, and quality control into a cohesive unit. By definition, Synergy Built optics are greater than their individual parts, and suffice it to say the sportsmen and women who put a set of Synergy Built optics to their eyes are the ultimate winners once again. Don't let anything get passed you with the Leupold 10-40x Binos.